Just two days now and I will stop biting the head off anyone who tries to sing Jingle Bells at me. It will be December and I will regain my composure. It’s always interesting to put a column together at this time of the year. Artists have a love/hate relationship with December – January. For anyone in a more routine occupation, this is the season to focus on home, put out the prezzies and kick back. Artists can’t afford to knock back gigs, and the high demand at this time of the year plays havoc with the domestic terrain. What it means for us who are watching the stage, rather than standing on it, is that there is usually a good run of performers at this time of the year. Here’s a few I’ve picked out. The Piping Hot Chicken & Burger Grill has a couple worth mentioning. Regular readers will know that I’m pretty passionate about new and local talent, and on December 8, the Chicken Shop has Heath Robertson and Band. You’ll find Heath on Facebook @heathrobertsonmusic. He is a 17-year-old multi-instrumentalist (guitar, bass, drums) who has been playing music for as long as he can remember. Starting out on drums, he then had a handful of guitar lessons with local artist Beau Torrance (formerly of The Rustys), which inspired him to develop his own blues-based style of guitar work and start writing his own songs. His music is a fusion of surf rock and blues with catchy guitar licks and solid beats inspired by music of a bygone era. 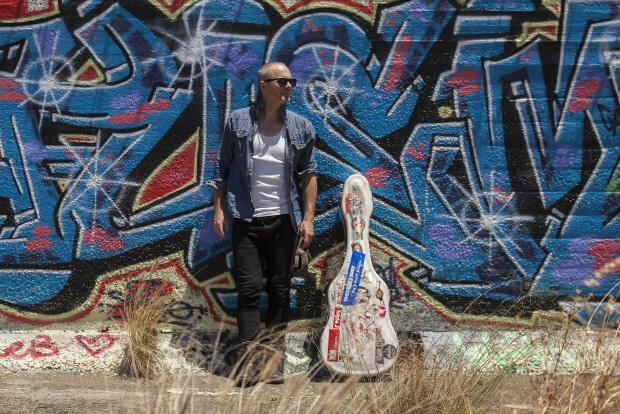 He’s played quite a bit, not only locally, but at festivals, such as the recent Bendigo Blues and Roots Festival. Carus Thompson will also be at the Chicken Shop on 15 December. Carus is no longer a muso from Western Australia, and he’s no longer an Australian Muso… the last description I saw of him was an “international troubadour!” All I know is that Carus has been playing solidly around Australia since 1995, and if you haven’t seen him yet, then this is a date you should keep. Originally, he played as Carus and the True Believers, but in 2008, Carus went onto a solo career. Well, Heath is young, Carus is getting there, but Fossil Rok’s have been there for a while! Fossil Rok are playing at Sleepy Hollow on Sunday December 9. Fossil Rok – because they’re not exactly spring chickens any more. They are a quartet of seasoned and experienced musicians who have been around since the explosion of rhythm and blues music in the 60’s. Fossil Rok’s eclectic style draws heavily on pre-rock and roll jump blues and swing genres with a little early rock and roll thrown in for good measure. Their motto is “if it ain’t toe tappin’, it ain’t us”. John Walton is on guitar, Brian Strafford on saxophone and with bassist Ian Bertram and percussionist Artie Shug providing that engine room of rhythm. Heath Robertson, Carus Thompson or Fossil Roks, your call, but get out to some live music and enjoy yourself.